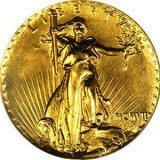 The first coins were minted in only one metal, gold, silver, bronze and sometimes lead or electrum, a gold-silver alloy. 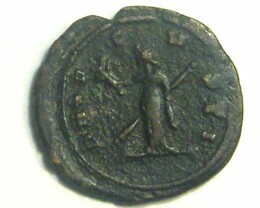 The first bimetallic coins can be considered some private issues dating from the 4th century AD. Back then, in ancient coins Roman emperorused to give to the members of the imperial guard special coins or medallions, made from precious metal, especially gold, as gifts. 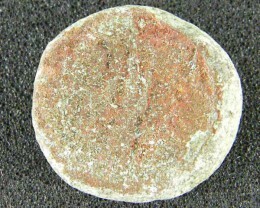 These coins, most of them unique, were large and heavy, usually 5 or 10 times the size of normal coins. They were objects of prestige and kept as such. Some of the soldiers, mostly from barbarian tribes, used to take these coins and wear them. 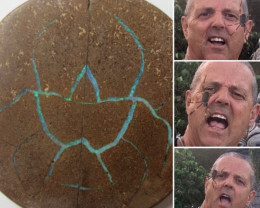 When they did that, they used only 2 methods: the first one was to drill a hole into the coin and the second one was to place it in a special montage. So they took a ring made from precious metal and inserted the coin in the middle, a procedure similar to the one of making pendants. These can be considered the first bimetallic coins, even through private issues. It wasn’t until the 1980’s that this technique draw attention, not to privates but the mints. Bimetallic coins are made from 2 pieces placed together, once center made from one metal and one ring surrounding the center. These can be achieved if you place the small round and thick center inside the ring. If a special press put a large pressure under the center, it will expand, growing in size but also becoming thin. In the end, the center will reach the ring and due to the pressure, will stick to it. These bimetallic coins are made from two different metals or alloys, usually of different colors. For example gold-silver or copper-steel. The contrast between the 2 metals can help you to clearly distinguish the coin. Also this coin is almost impossible to fake… you can perfectly make the dies if you are a counterfeiter yet you will not be able to find a special press machine to make the flans. Moreover, this coin can be easily recognized by blind people. The difference between the 2 metals can be felt by touch. These reasons lead to the appearance, in 1982, of the first bimetallic coin. 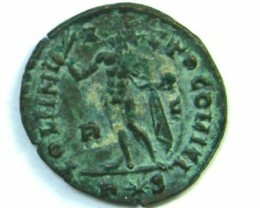 In Italy, the Mint of Rome produced a 500 lire coin, made from a center of Bronzital (a special alloy) and a ring of Acmonital (a special alloy made from iron). It had a weight of 6,8 gr and a diameter of 25,8 mm. On one side it depicted the stylized head of a girl to left and on the other the “Plaza di San Marco” from Venice. The center was reserved for the figures while the ring was used for the legends. Also, the coin had on reverse, up, some doted points, that indicated the value in Braille alphabet. This coin was minted starting from 1982 until 2000. In 1982 the cost of making these coins was double then a normal one and until now, making such a coin is much more expensive than a normal one. That is why these coins are usually the high value coins, normally the biggest values. Soon, other states followed Italy’s example. In 1988, France introduced a 10 francs coin made from steel center and an aluminum-bronze ring, minted until 2000. Portugal minted in 1989 a 100 escudos coin made from Copper Nickel-Aluminium Bronze, with a size similar to the 500 lire. The coin was minted until 1997. Russia minted coins with the year 1991, of 5 and 10 roubles. In the following years, the 10 rouble bimetallic coin ceased to circulate, especially after the reform of 1998 but The Bank of Russia uses the bimetallic 10 r. for commemorative coins. Algeria minted in 1992 the 10, 20, 50 and 100 dinars set. 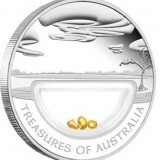 Australia minted in 1994 the first 5 dollars bimetallic coin. 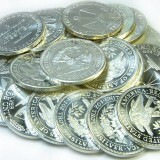 Great Britain uses the 2 pound bimetallic coin, for general circulation and for commemoratives issues, since 1997. 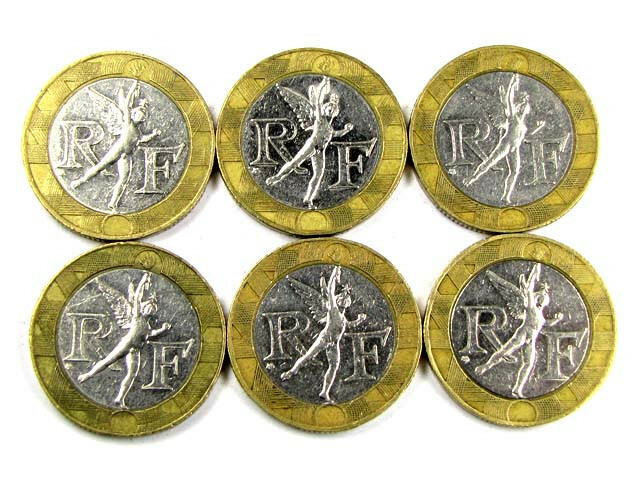 The European Union uses bimetallic coins for the 1 and 2 euros. bimetallic coins are produced by over 105 countries today, although bi-metallic coins have been circulating for many years. The Roman Empire issued the coins on special occasions from the 1600s large medallions were made with a centre of bronze or copper and an outer ring of orichalcum, starting with the reign of Hadrian. The first bi-metallic coin to be widely used in the 20th century is the 500 Lira issued by the Italian government in 1982.